Fracassi has created demand by offering the full slate of services — media relations, crisis communications, event management, digital ad planning, social media management and graphic design — custom built for the hospitality industry. 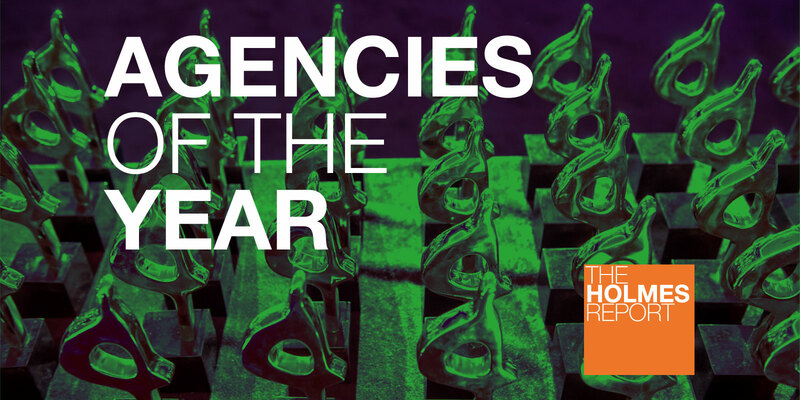 The agency prides itself on being ROI-centric in both its PR and digital services, yet rolling out campaigns with the twist needed to distinguish players in the sector. When Brands2Life decided to launch a US operation in 2017, the firm’s founders Giles Fraser and Sarah Scales knew better than most that success was hardly guaranteed. Credentials as one of the UK’s finest PR agencies counted for little in a US market that is littered with the carcasses of failed contenders from across the pond. Yet, two years in, Brands2Life may well be on the road to proving the naysayers wrong, delivering an encouraging start that has blended the best of its UK capabilities with a refreshing willingness to localise its offering in line with market expectations. Under the oversight of US MD Rene Musech, Brands2Life’s San Francisco operation is working with 18 technology companies and B2B brands, bringing in more than $1m with a team of 10. Hallmark work in 2018 included expanding brand awareness for Verizon Connect through a campaign focused on “unsung holiday heroes” – service providers, like plumbers and electricians. The agency secured coverage across national and trade media widely read by Verizon Connect's key audiences including FOX Business, Automotive Fleet, Work Truck and Fleet Equipment. For the second consecutive year, Brands2Life drove record-breaking media coverage The Internet of Things World expo. Coverage of the 2018 show was up 30% from 2017. And the 2017 show, which the agency handled, was up 25% from the year before. With more than 20 years of experience each in HR, communications and business, Cathleen Graham and Darcie Peck's consultancy is dedicated to helping companies work through employee and talent-related issues. Founded in 2018, Cheer Partners clearly opened up at the right time, as companies are increasingly requiring expertise in such areas as employee engagement and internal communications, boosting diversity & inclusion and fostering a compelling company culture. The proof is in the traction Cheer Partners has gained in a very short time. Clients including Aetna, Juniper Networks, J&J, Pfizer Kendall Square and Nike Communications. The firm also started a joint venture with RF|Binder focusing on areas like employee engagement and diversity. Though based in New York, Cheer Partners’ decentralized operation includes 13 employees in cities including Baltimore, Fort Lauderdale and San Francisco, serving clients spread equally far and wide in the Bay Area, New York, Cleveland, Miami, Cambridge, Hartford, Nashville and Dallas. To achieve its mission — change the way employees experience work — Cheer Partners first tests out its tactics internally to make sure they’re on target. After all, Cheer Partners does things differently; it marries its offerings so the talent team talk to the HR advisory team so your training or virtual HR can all be connected working on your employer brand proposition. The same applies to its employee communications practice. Last September, Peppercomm co-founder and CEO Ed Moed left the agency after 24 years to start a new venture — an affiliate agency called Hot Paper Lantern — with Ted Birkhahn, a 20-year Peppercomm vet who most recently served as president. The idea: launch a thoroughly modern agency designed to help brands thrive in a digital economic. The opportunity: be a well-rounded client partner with a model that integrates strategy, technology, communications and culture – all with the goal of creating, telling and measuring the impact of brands’ stories. Brand marketing and communications is at the heart of HPL, whose ultimate goal is to help clients craft compelling messages, design the best experiences and tell their stories through the channels that have the greatest impact on their audiences. The agency, however, goes beyond those core competencies to shepherd brands in the throes of change. The firm provides business consulting, working closely with clients to further their understanding of the intersection of business and brand transformation. When it comes to technology, HPL uses tools to unlock new ideas, drive innovation and deliver results. Since its launch, HPL has grown its revenue by 20%, and its headcount from 35 to 45 full-timers. There hasn’t been a shortage of new tech firms hitting the market over the last few years. But it is notable when a new firm emerges and moves right into producing award-winning work combined with solid, and sustainable, business performance. Former Hotwire execs Greg Mondshein and Becky Honeyman launched SourceCode in the fall of 2017 and grew last year into a $1.7m business that operated at 42% profitability. Although SourceCode focuses exclusively on technology brands, the firm is committed to having a level of humanity at the core of tech communications. SourceCode is built on a fundamental belief that human beings create and tell the most effective stories, and that communicatons need to make an emotional connection between brands and consumers to succeed.The agency now has 10 full-time employees and 19 clients including 2018 newcomers such as Yotpo, Pindrop, Casaza, Elvie, SCRUFF, SOCi, FocusVision and Channel Bakers amongst others.